There is a certain standard of behavior that needs to be followed while inside an Orthodox Church. Even if you’ve been attending the church for some time, it’s easy to forget some of these basic rules of etiquette. Here’s an overview of some of the things you need to remember while attending an Orthodox Church service. It’s important to get to church on time. Even though plenty of people are late for church, this is usually something that bothers the priest, even if he doesn’t say anything. If you are late for the service, just be sure to follow the right protocol for entering the church so that your entrance doesn’t cause a disruption. When you arrive at church, the first thing you will do is walk through the doors and address anyone who greets you. Some churches may have official greeters standing at the door. After you walk in, it’s customary to take a candle and place a donation in the tray next to them. Then, you’ll light your candle, do your cross, and venerate any icons that are nearby. After lighting the candle, you’ll then venerate any icons that are set up nearby. The candles in the Narthex commonly set up these icons. The proper way to kiss the icon is to make the sign of the cross three times and then kiss the hands. It is improper to kiss the icon on the face. If you’re wearing lipstick, be sure to wipe it off before you venerate the icon so that you don’t get it on the image. Once the Divine Liturgy has begun, there are rules for the correct way to enter the church. Don’t enter the church if the epistle or gospel readings are taking place. It is also impolite to enter while the priest is giving a sermon or when the congregation is reciting the creed. Finally, you definitely shouldn’t enter while the consecration prayers are being said. If you do arrive while any of these are taking place, you should wait until he’s done before you take your seat. In recent years, Orthodox Churches have gotten a little more casual than they used to be. The general rule is to wear clothes that are classy and not too provocative. Business casual or a suit and tie for the men are both acceptable. For women, wearing a dress or skirt that falls around the knee is preferred. Even though pantsuits are acceptable, they are still frowned on. When in doubt, dress in your best clothes. Also, be aware that men should remove their hats while in church. 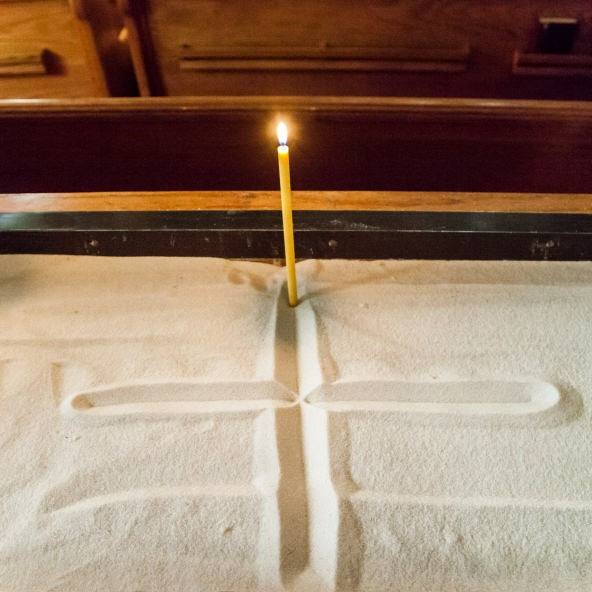 Did you know that it is considered improper to cross your legs in an Orthodox Church? This is one of those rules that a lot of people don’t seem to adhere to. In the eyes of the church, this represents a form of arrogance that stands in the way of our relationship to God. Since a lot of people aren’t aware of this thinking, people tend to cross their legs without realizing that it is considered improper. By following some of these basic rules of etiquette, you’ll get more out of the experience at church. Most of these rules are in place to help create an optimal place of worship.